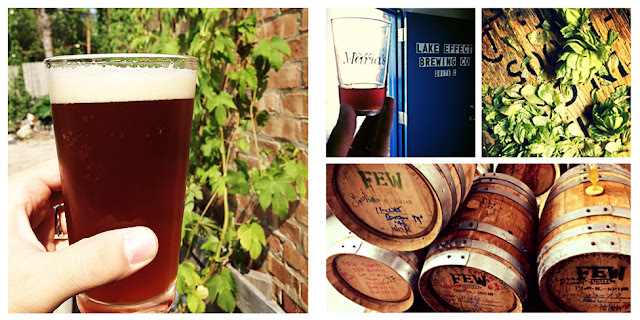 This Wednesday, July 24th South Loop Brewing Company will debut their first two beers, brewed in collaboration at Lake Effect Brewing at The Weather Mark Tavern (1503 S. Michigan Ave, Chicago). Or so the ancient rhyme goes. It’s a mariner’s rule of thumb for forecasting the coming day’s weather and it dates back well over 2,000 years. Sailors used it to predict what kind of day they were in for on the water. Lake Effect Brewing Company and South Loop Brewing Company used it as inspiration behind their latest: a split-mash double beer collaboration. “Sailor’s Warning” is an 8.3% ABV Imperial Ruby Red Ale. It’s full-bodied and boozy (not unlike sailors) with a biscuity, creamy, almost cask-conditioned mouthfeel. A complex, earthy bitterness from Falconer’s 7C and Zythos hops should greet your tongue and stay with you to the cold, dark bottom. You’ve been warned. “Sailor’s Delight” is a refreshing, 5.1% ABV sessionable red ale. Lighter in both color and body than “Sailor’s Warning,” this delight (pun intended) was cleanly hopped with Magnum and delicately spiked with vanilla beans in a way that makes calm waters and beautiful sunsets even more enjoyable. Go ahead, kick your feet up for this one. 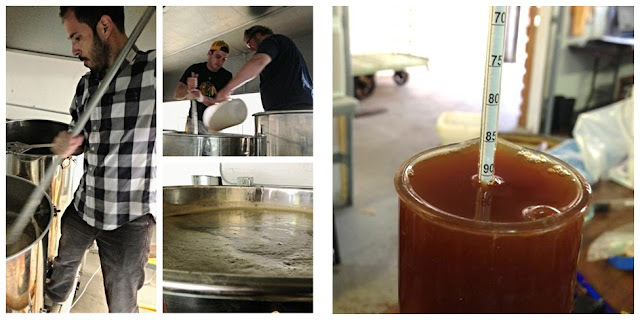 At present, South Loop Brewing Company consists of three gentlemen - Jeremiah, Jude and Jason, running a homebrewing operation and a dream to bring the community of craft beer to the South Loop. Since they're not 100% funded yet or licensed, they are free to collaborate with other licensed brewers, but not release beers in their own facility just yet. "We intend to get there through a Kickstarter campaign slated to launch this September, but it was important to us to get actual beer on tap so friends, family and strangers alike could try our handiwork before we asked them to help us fund a brick-and-mortar brewery," says Jeremiah. The two-beer collaboration "Sailor's Delight" and "Sailor's Warning" were brewed with Lake Effect Brewing Company, is their first. Jeremiah shared that "the response and support so far has been exciting and extremely motivating. We're really looking forward to tapping those kegs and seeing what people think." They aim to continue gaining momentum with more collaborations. You may see them brewing their own original recipes at other friend-breweries to get their beer into market sooner, but the end goal is a production brewery with a taproom and shop in South Loop proper. They've already scouted a handful of locations that could eventually be home, and are excited and hoping for the best with the ability to reach the Kickstarter goal. Many of South Loop Brewing's beers are inspired by and named after South Loop-related areas or roads: "India(na Ave.) Pale Ale," "Solidarity Stout" and "Hop Monster of the Midway," to name a few. They want to have fun with beer names and styles, but also intend to tell a story about the South Loop when and where possible. We look forward to much more from these guys in the near future!